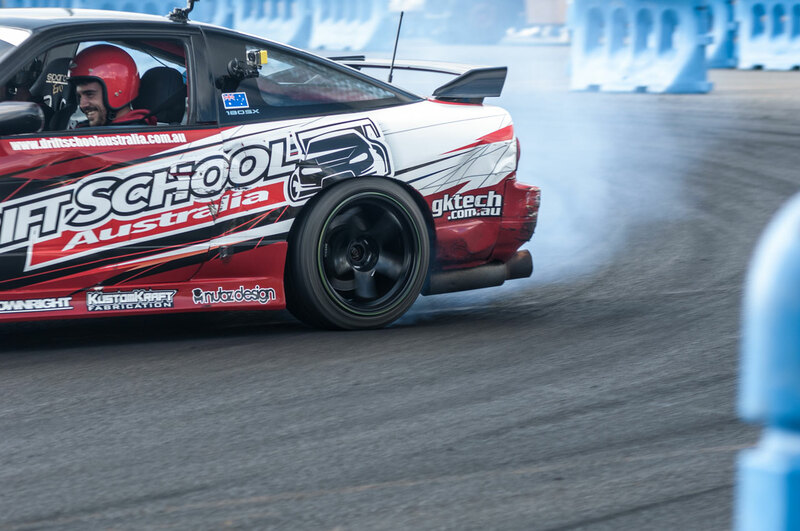 Drift Masterclass is a fun-filled and action-packed day. This is an intensive course for drifting, where a series of techniques are taught throughout the day to form drift entries where you will have the car set-up sideways, well before the corner along with weight transfers (a flowing drift from one corner into the next). Drift Masterclass is ideal for those not only looking to gain and hone in on some serious drift skills but also have a ton of fun! Tea, coffee, cold drinks and snacks provided throughout the course. *Level 1 students are taught using the Handbrake Technique. *Level 2 students are taught using the Clutch-Kick Technique: Once you have achieved your Level 1 certificate of completion, you can return to tackle Level 2 which is performed on the same track layout as Level 1, introducing a new technique to master. Drivers Licence is not necessary. Experience with a manual car is recommended.